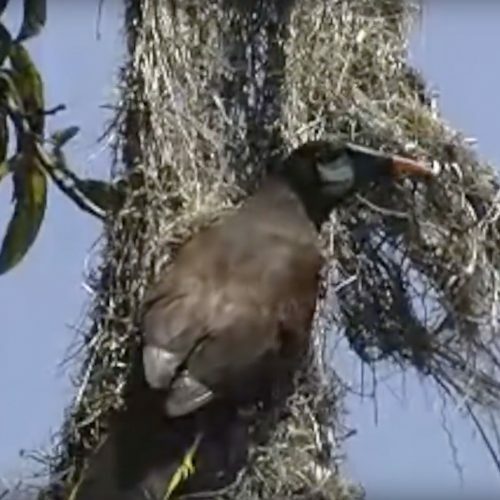 Here an adult Acorn Woodpecker feeds a juvenile on a granary in California. 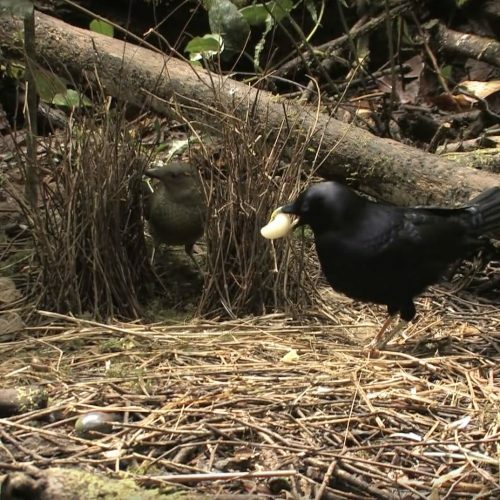 When resources are scarce, it can be difficult for young birds to find the food or territory needed to reproduce and raise their own chicks. When this is the case some birds, such as Acorn Woodpeckers, stay with their family for a year or two, rather than venturing off on their own. 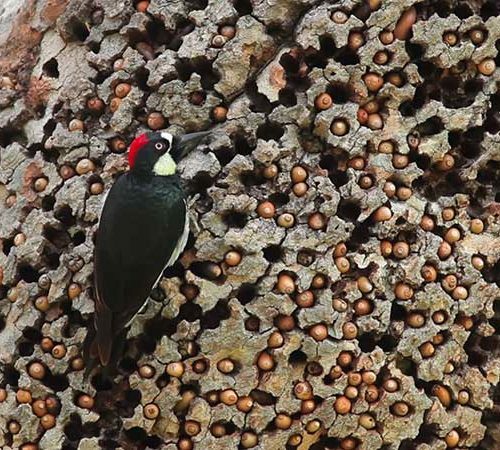 Acorn Woodpeckers are referred to as cooperative breeders because their family groups include offspring that remain with their parents after fledging and help raise younger siblings in subsequent nests. The extra assistance provided by these nonbreeding helpers can increase the chicks’ chances of survival in unfavorable conditions.